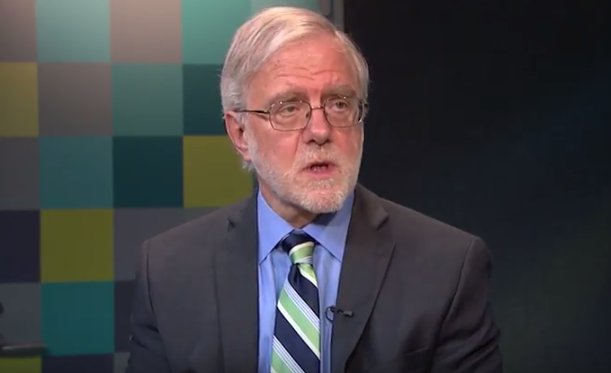 This week on Newsmakers with Dan Cummings, Dan talks to Howie Hawkins of Syracuse, the Green Party candidate for Governor in the November elections. Green Party candidates across the state say improving public schools is a priority. Howie Hawkins and Lieutenant Governor Candidate Jia Lee were in Syracuse Thursday showcasing their education platform. Both are calling for district lines to be redrawn to provide more opportunities for all students. They say urban schools are lagging. "Who suffers the most?” said Lee. “In predominantly black and brown poor communities and that is part of systemic racism that we can no longer be a part of." The candidates also came out against charter schools and high-stakes standardized testing. Both say those practices hurt urban districts disproportionately. The race for lieutenant governor is getting more attention this year than in past cycles thanks to a contentious Democratic primary. But in the general election, each party runs a ticket. And for the Green Party, teacher and union activist Jia Lee is running for L-G alongside gubernatorial candidate Howie Hawkins. ALBANY - The Green Party candidates for governor and lieutenant governor were at the state Capitol in Albany on Wednesday. Howie Hawkins and Jia Lee are calling for an overhaul of the state's education policies. They want more money for schools in low-income communities and want to see a move away from high-stakes testing. They also want to see less of a financial burden on families, talking in particular about the property tax cap. "Cuomo says it's great, [Marc] Molinaro wants to make it permanent, [Cynthia] Nixon wants to amend it so it's a little easier to override. We want to get rid of it," explained Hawkins. Lee is a public school teacher in New York City. The Green Party's statewide candidates are outlining major parts of their policy agenda today, including what they call "social ownership of the economy." They want to create public banks, transition the energy system to public ownership, and encouarge more worker cooperatives. If that all sounds like socialism to you, well, it does to them too. But this is certainly not in response to the new wave of support for Democratic socialism. Talking more about the policies are candidate for governor Howie Hawkins, and comptroller candidate Mark Dunlea. BUFFALO, N.Y. — While prosecutors across the state attempt to prove bid-rigging connected to the governor's signature economic development initiative, two Green Party candidates for state wide office criticized the Buffalo Billion as a whole. "We'll see what the trial brings out and what the jury says but on the face of it, it's corrupt because big donations in, contracts out, and it's hard to prove a quid pro quo but it looks obvious just on appearance," Green Gubernatorial candidate Howie Hawkins said. Comptroller candidate Mark Dunlea said he is concerned about the reports he's heard thus far from the trial, primarily that the state's economic development arm allegedly consulted with preferred developers about major projects. "The testimony we've heard so far, it was routine for the Cuomo administration to allow companies that had given him donations to literally write request for proposals," he said. Dunlea said current comptroller Tom Dinapoli has been silent about the Assembly's failure this week to pass legislation to give his office more oversight of state contracts. He said if elected he would be more aggressive in his scrutiny of contracts like the ones currently at the center of the trial. "The state Assembly refused to bring the bill up for a vote even though it had passed the Senate, mainly because the governor did not want to see more state comptroller oversight," Dunlea said. Meanwhile, Hawkins believes the Buffalo Billion model is flawed in general. Standing in front of the Freedom Wall on Buffalo's east side, he said he was skeptical the economic development money has made it to the neighborhoods that need it the most. "The struggling working class and minority communities, this trickle-down economics don't trickle down to us. It goes to the rich," Hawkin said. The candidates are pushing an economic development plan they call the Green New Deal which involves investing money into public works, specifically projects targeting climate change and improving the environment. "That will create jobs directly. It will put people to work. It will put money in these communities and it will build the economy from the bottom up," Hawkins said. BINGHAMTON, N.Y. - The Green Party's candidate for Governor also appeared before the Broome County Courthouse steps along with the party's candidate for State Comptroller. Mark Dunlea officially announced his run for Comptroller. He says the main focus of his candidacy is to divest public pension funds from fossil fuels. According to Dunlea, only 4 percent of New York State gets it's electricity from renewable energy and that he and Gubernatorial Candidate Howie Hawkins would support legislation to move to 100 percent clean energy by 2030. Dunlea says climate change needs to receive more attention. "The first issue is to really force the issue of divestment in climate change. I think it's the single greatest threat to humanity at this point and we're losing the struggle against climate change," said Dunlea. Dunlea also cited a study done by Cornell and Stanford professors that showed a transition to 100 percent renewable energy would create 4.5 million jobs during construction and 58,000 permanent annual jobs thereafter for the energy facilities. Hawkins, a Syracuse resident, is making his third bid for governor. Between April 2014 and April of this year, the number of active registered Democratic voters in New York State grew 3.6 percent. Registration in the Republican party edged up about three-tenths of a percent. The Conservative and Working Families Parties both shrank, as did the Independence Party. The Green Party, meanwhile, saw its registration leap 22 percent. It’s hard to say why the Green Party’s membership—at 26,500, it’s still very small in the context of the state’s 11.3 million active voters—has increased that much since the last state election cycle. Maybe the Bernie Sanders candidacy made the Green’s brand of “ecological socialism” more popular, or maybe the matchup of Hillary Clinton and Donald Trump made the major parties more toxic. Howie Hawkins for Governor, Green Party of New York State nominee, on his goals for this election and thereafter at State Convention, May 19.